Nearly 60 years after the USSR launched Sputnik I -- and more than 4,900 space launches later -- a number of objects now circle the Earth. Scientists track nearly 20,000 pieces of space debris that are said to be larger than a softball, but it is estimated that close to 500,000 pieces of untrackable debris -- perhaps millions of the smallest size -- exist in orbit as well. If a single, marble-sized piece of orbital debris were to hit a functional, orbiting spacecraft -- as seen in the movie, "Gravity" -- the results would be catastrophic. In a move that seems to be straight out of a science fiction movie, Japan launched a magnetic net on Friday that is meant to act as a trash bag for the pieces of space debris hurtling around the planet. In theory, scientists say that the electrified net will slow down the debris and -- when it starts to fall towards Earth -- burn up in the atmosphere, the Guardian reports. 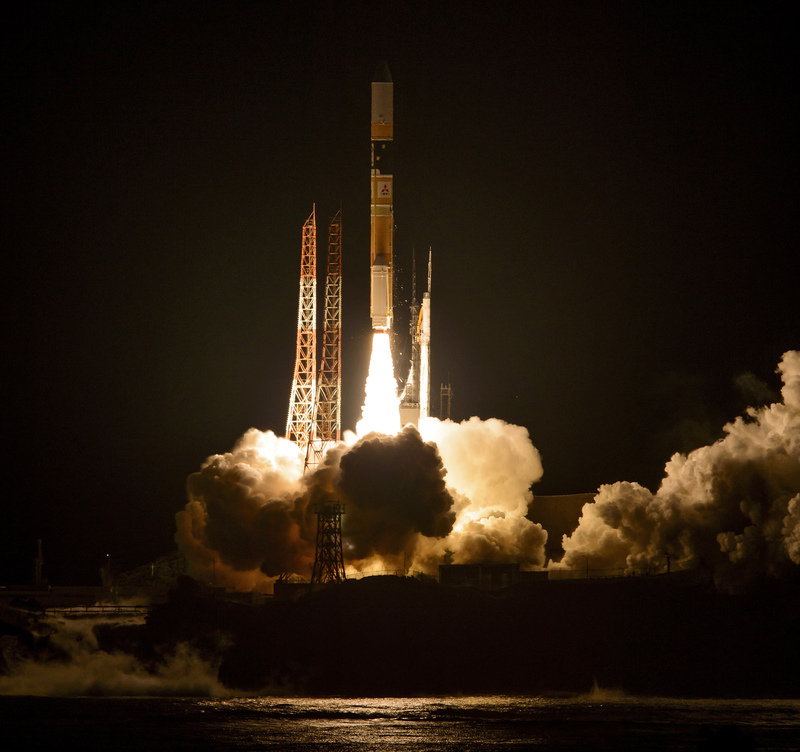 The net, dubbed the Space Tethered Autonomous Robotic Satelite-2 by its Japanese creators, was launched along with a powerful new satellite, developed jointly by the United States and Japan, to help with extreme weather predicting. More and more orbital debris have been added in recent years, so scientists have been searching for an answer to an international problem that, if left unsolved, could strand future attempts of space explorations on Earth. In 2007, Chinese officials used a ground-based missile to destroy one of its aging satellites, adding nearly 3,000 pieces of space debris, according to NASA. Two years later, two communication satellites -- one Russian and the other, American -- collided, adding more than 2,000 pieces of space debris. After five years of experimenting, researchers at Kanagawa University and the Japan Aerospace Exploration Agency created a 1,000-foot tether, made up of ultra-thin wires of stainless steel and aluminum. Not the first time a space agency tried to clean up space junk, NASA explored the possibility of creating a so-called "laser broom" that would sweep the debris out of Earth's orbit. A weak laser would vaporize a small portion of orbital debris, resulting in a puff of vapor that would slow down the debris, burning up as it entered the atmosphere. However, Friday's launch may not be the solution to the space debris problem everyone has been looking for. This trial run is meant to see if the net can unfurl correctly and generate electricity, but no debris will be harnessed. Scientists are hopeful that if all things go according to plan, future tests could include a demonstration and full deployment could begin in 2019.